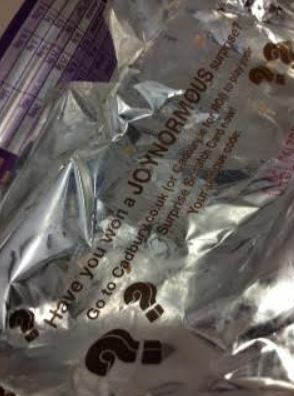 There are 20,000 ‘Joynormous’ surprises up for grabs, including some worth up to a grand sum of £10,000! I can confirm I haven’t work it yet but I do have a lot of bars to munch through! Whether you are a sports fanatic, a travel enthusiast or you love music, the possibilities are endless. Launching last month, the brand new on-pack promotion is the first of its kind where the excitement of the surprise is part of the prize itself. Lucky winners will be contacted by a ‘Joy Agent’ (I need one of those in my life) and asked to complete a few fun questions (what do you like: chocolate, brownies (the chocolate kind). What’s your fav colour: purple…) and if you’re one of the special £10,000 prize winners you can nominate that oh-so-special friend to be part of your prize creation (who do I trust to not screw it up 😉 ). Products included in the promotion are: Cadbury Crunchie (40g), Cadbury Wispa (39g), Cadbury Starbar (49g), Cadbury Dairy Milk (45g). Cadbury Wispa Duo (51g), Cadbury Wispa Gold (52g), Cadbury Boost (48.5g), and my favourite: Cadbury Twirl (43g). 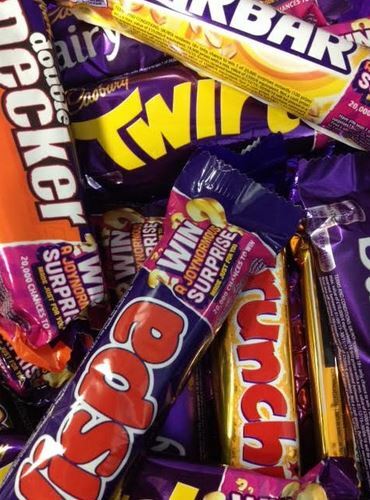 For a chance to win, all you need to do is pick up one of the delicious Cadbury promotional bars which will reveal a unique code to enter on www.cadbury.co.uk and find out if you’ve won a Joynormous surprise, especially for you. For more information head to www.cadbury.co.uk or www.facebook.com/cadburyuk for details.